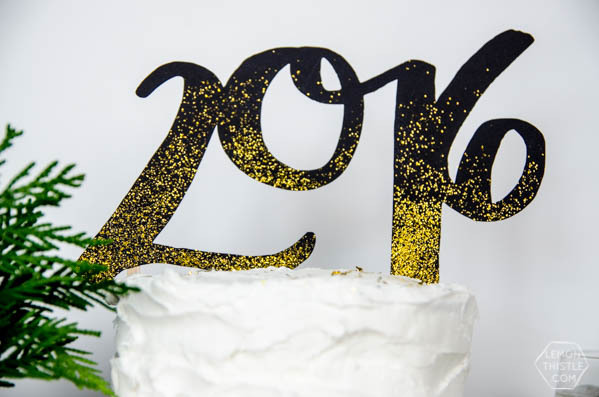 DIY 2016 Cake and Drink Toppers from Creative Contributor Colleen, from Lemon Thistle coming right up! You can pretty much do anything with a Cricut Explore and glitter! 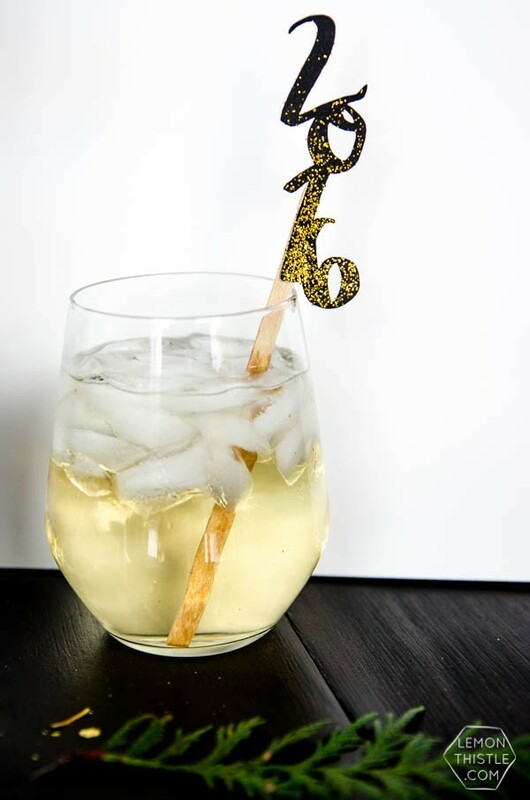 DIY New Years Eve Decor just got easier. 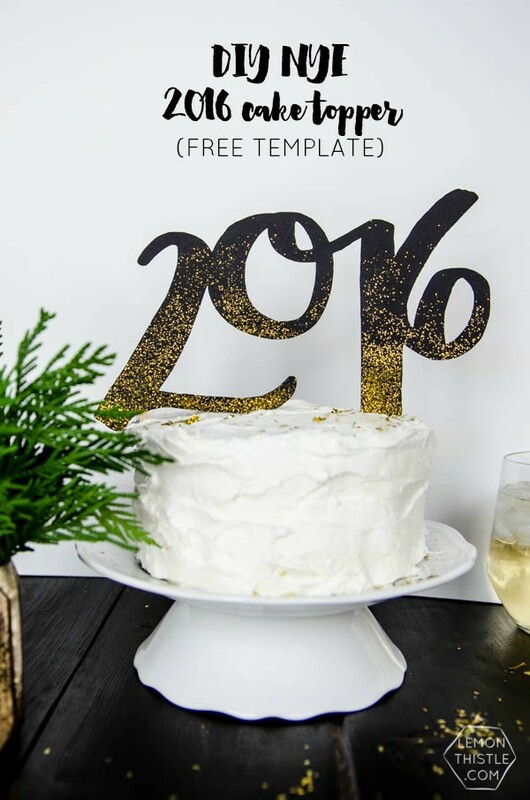 In case you’ve missed it, here’s a free printable 2016 calendar to get you ready for the new year! Pin it, or share it on facebook! Hello Today’s Creative Life readers, Colleen here from Lemon Thistle (home to DIY, parties, home decor, and babies). 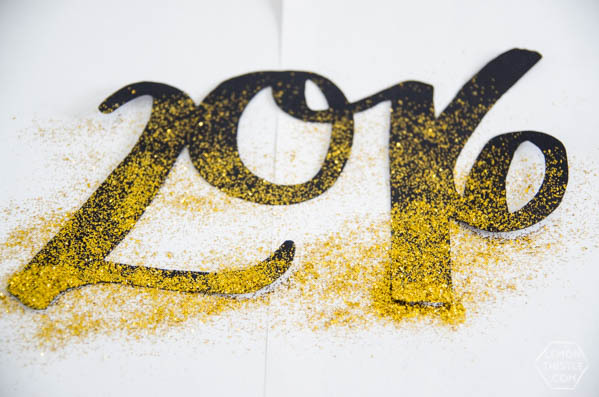 Can you believe that 2015 is almost over!? We’ve just wrapped up another Christmas… and so close to ringing in the new year! Where has the time gone? I am so guilty of ignoring this until Christmas is over because we’ve always hit a family friends’ cabin and celebrated new years in the snow- not party dresses. But with a new baby, we’ll be staying home this year. And I thought- what the heck! Why not glam things up a little bit? 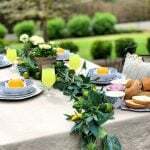 This may be the extent of it, but it certainly makes a simple celebration cake and sparkling apple juice (anyone with me!?) 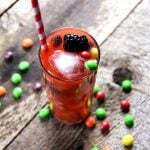 more special. The above supply list contains affiliate links and is provided for your shopping convenience. There is no additional charge to you. 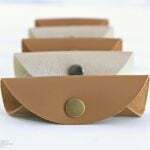 Start by downloading my templates. 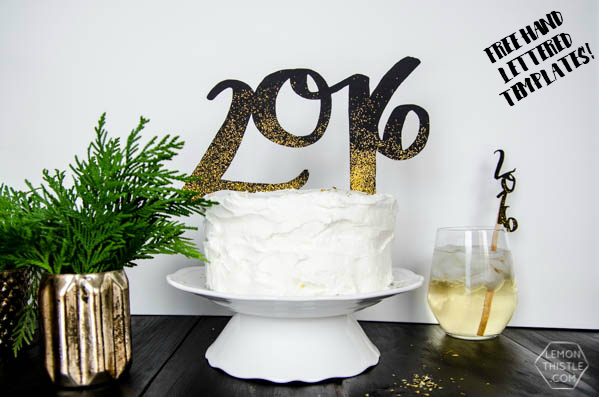 You can grab the cake topper (horizontal) 2016 right here, and the drink stirrer (vertical) right here. Please keep in mind these are for personal use only. I also think the vertical would look rad a bit bigger hanging off of a confetti filled balloon. So if you do that… send me photos, pretty please! These templates were hand lettered and I really love the way that they turned out. I’ve digitized them as PNG files for you so if you have a cutting machine, you’ll just need to upload them as your own image (simple cut file) and stretch them to the size you like. Then hit go! 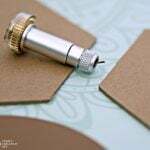 Or, if you’re like I was 6 months ago and don’t have a cutting machine- print off on standard paper and use a craft knife to cut the design into card stock. 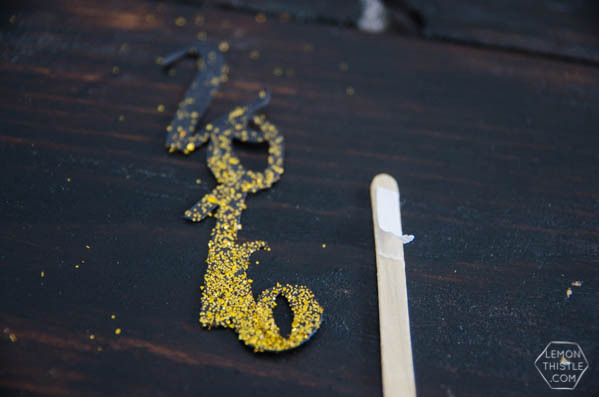 Feel free to use edible glue and edible glitter. When your design is cut, lay it on scrap paper (or a surface you don’t care about) and give the bottom half a mist of spray adhesive. Then, gently shake glitter over your design, concentrating on the lower half and only sprinkling a tiny bit on the top half for an ombre effect. 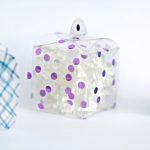 Flip your topper over and use double sided tape to adhere stir sticks to the topper. I had two to hold the cake topper in place, and of course just one per drink stirrer. That’s all there is to it! 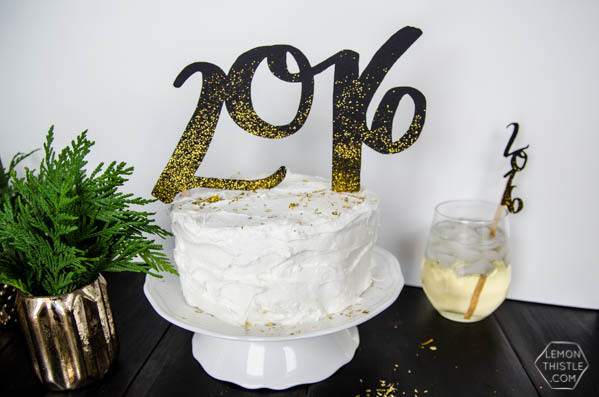 Thanks to the Cricut, this DIY 2016 Cake and Drink Toppers craft is SO speedy. And spray glue. I’m really all about the short cuts you guys! 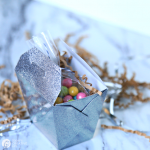 Finish off your simple decor with some gold foil confetti and winter greens in gilded vases if you like. Or, you can glitz it up even further and bring in all the sequins and bling. So tell me… do you have plans for New Years yet? Do you ever think to decorate? 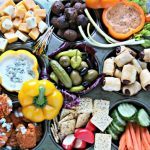 See more great ideas from Lemon Thistle! 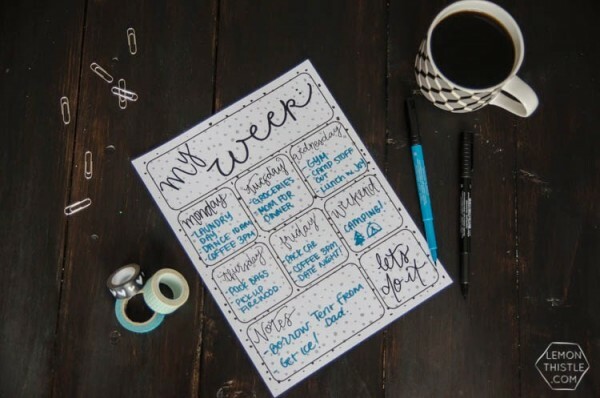 Free Planning Printables from Lemon Thistle | Just click on the photo to see more. 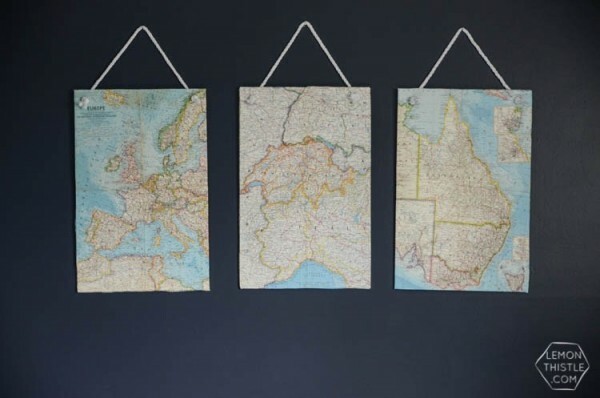 DIY Vintage Map Wall Decor | Click the photo to see a full tutorial. Those are beautiful! Love the glitter on them!